Manwell Reyes is a charming musician who has developed the ability to absolutely get listeners hooked to his soothing sound the minute they hear it. Not only is he very talented, he is also considered a ladies’ man because of his stunningly good-looking physique and sharp dressing skills. As a German-American singer, he has built a large following of listeners over the years with his consistency and undying commitment to his craft. Reyes performed in a group called Group 1 Crew. The band which became famous around the world for the silky smooth performances which its members put out consistently on stage as well as the edifying songs they created in their albums, has won many awards and is highly-regarded. The actual date in which Manwell Reyes was born is not known due to the overwhelming lack of information in the regard. However, we do know that he was born in Germany to a mother who is American and a father who is German. Although he is now widely known by fans as Manwell Reyes, his full birth name was Jose Manwell Reyes. According to reports, his father was a military man. Though he was born in Germany, Manwell did not grow up there. His mother got separated from his father when he was still little and moved back to the USA with him. He ended up being raised by his mother in Florida and having very little contact with his father while growing up. Today, Manwell is known to be very calm, gentle and full of understanding but it was not always like this with him. As a child, he was very stubborn and showed his obstinacy very often fighting other boys and cursing. For this reason, he was reportedly kicked out of the different schools he tried to attend while he was growing up. His life, however, changed when he started to attend high school after he encountered God there and fell in love with the Bible. The change was very visible and people who used to know him were quite astonished. After he became a changed person, Manwell decided to attend a Bible College in Florida where he began to display his ability to sing. He took part in musical shows the school put together and thrilled people with his gift of music-making. This was where it all started for him musically. Soon after he began to thrill people with his musical skills at the Bible college, he and two friends identified as Pablo Villatoro and Bianca Callahan decided to form a Christian music band and began performing at functions. In 2003, after he had finally graduated from College, Manwell and his friends decide to call their band Group 1 Crew and started performing in earnest with Manwell as the lead singer and songwriter of the group. The group would later get signed to Fervent Records and Warner Bros. Records. In 2006, Manwell and his group put out their first EP which they titled I Have A Dream and received favorable response from fans about their originality and unique touches. They followed up the EP with a full-length album which they self-titled Group 1 Crew. The album did very well and got them some more attention. The album had singles like Love Is A Beautiful Thing which did so well that it charted at number 20 on P&R, a weekly Christian music trade publication which monitors current songs to determine their relevance. More members later the band to swell their number. Manwell and his group were not resting on their oars. In the month of September, 2008, they put out their second album which they titled Ordinary Dreamers and it also made some waves. However, the album with which they arguably made the most impact was their third which they released in September 2010. The album was titled Outta Space Love and was very well received in the US and abroad. In fact, it become so popular that many of the songs on the album were used in America’s Got Talent. The group went on to put out two more albums; they released Fearless on the 10th of September, 2012 and Power on the 29th of July, 2016. The band has been hailed for producing very original and soul-lifting songs. In recognition of their work, the Group 1 Crew were nominated for the prestigious GMA Dove Awards 9 times and have succeeded in winning 5 of those awards so far. 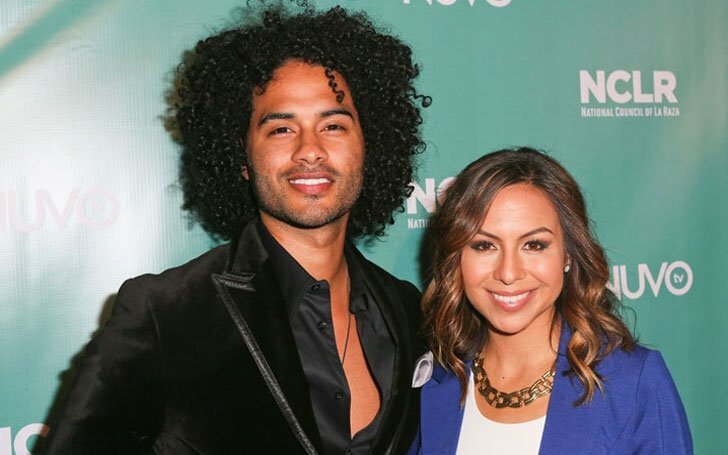 After an illustrious career with the Group 1 Crew, Manwell left the group in 2017, announcing that he wanted to focus on other interests. Having had a successful career as a Christian singer, Manwell is expected to have raked in a considerable amount of money. He headlined many of the concerts organized by Group 1 Crew and cumulatively performed in front of millions of people during his career. This, no doubt, has made him a very wealthy man. However, his exact net worth has not been disclosed at the moment. Manwell Reyes is a married man. The singer is married to Anjelah Johnson, an American comedienne and actress. Their wedding held on the 11th of June, 2011, in Half Moon Bay, a coastal city in California and was witnessed by close friends and family. They have no kids yet. Apart from being a singer, Manwell is also an actor. He made his film debut in 2014 when he was cast in Moms’ Night Out, a comedy film. The same year, he made appearances in The Collective, a TV series in which he discussed trends in music and fashion. About two years later in 2016, he made another appearance in Restored Me, a drama movie. Manwell once suffered a vocal cord damage that left him unable to sing for a while. In fact, he had to undergo a corrective surgery to restore his voice after the incident. He later bounced back to being his group’s lead singer.